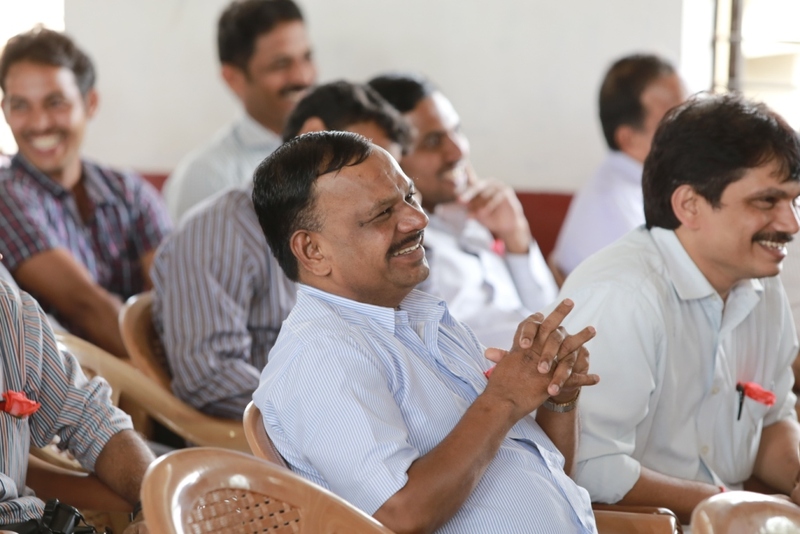 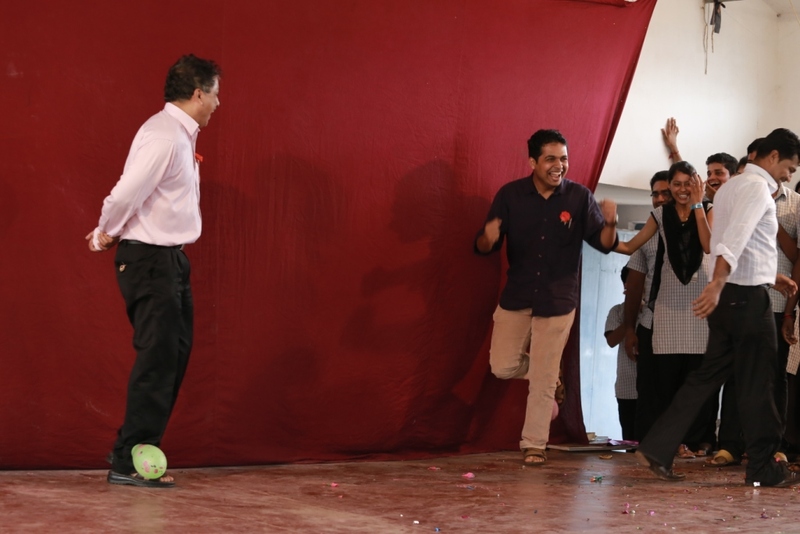 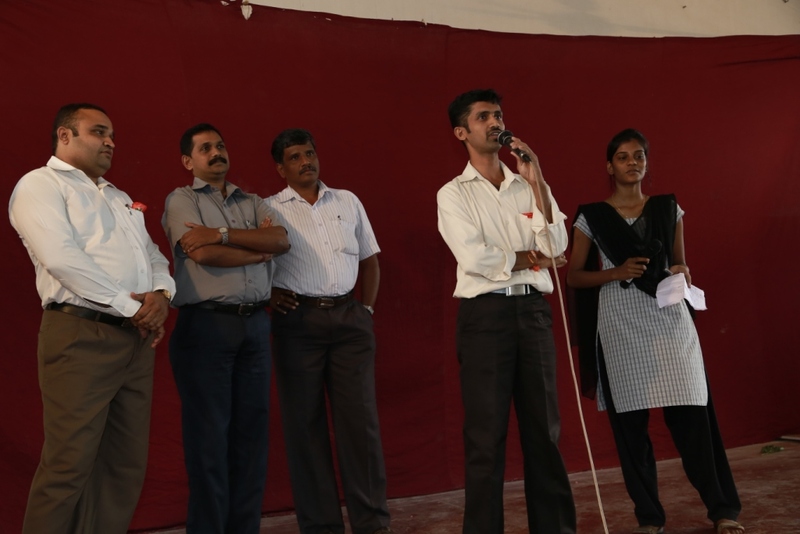 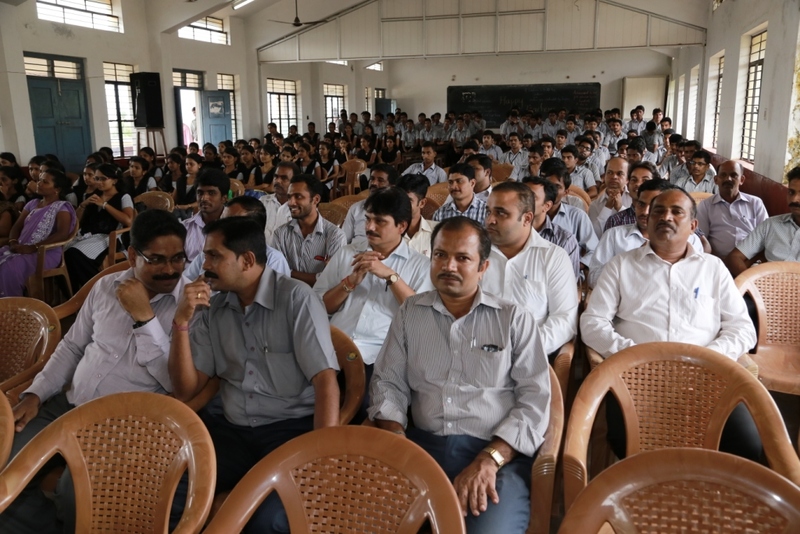 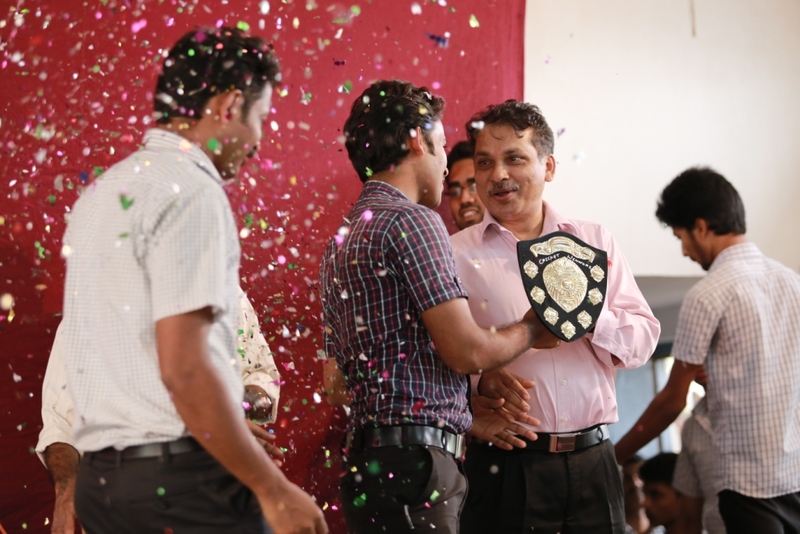 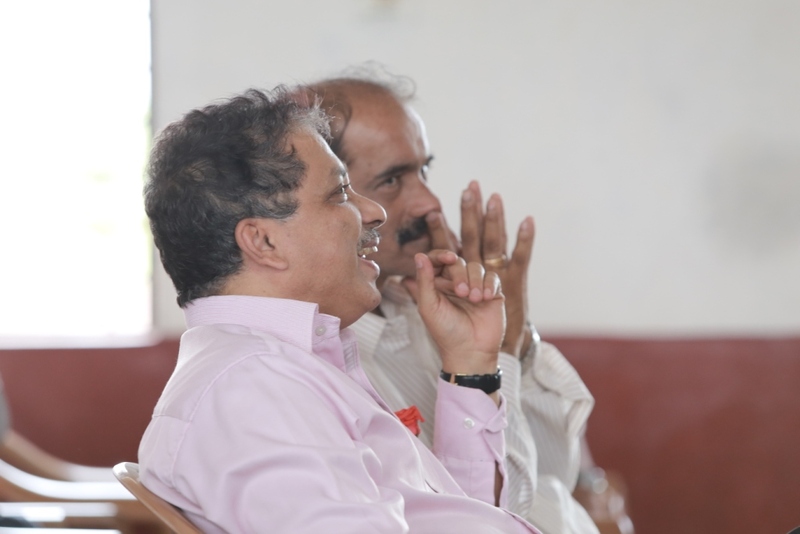 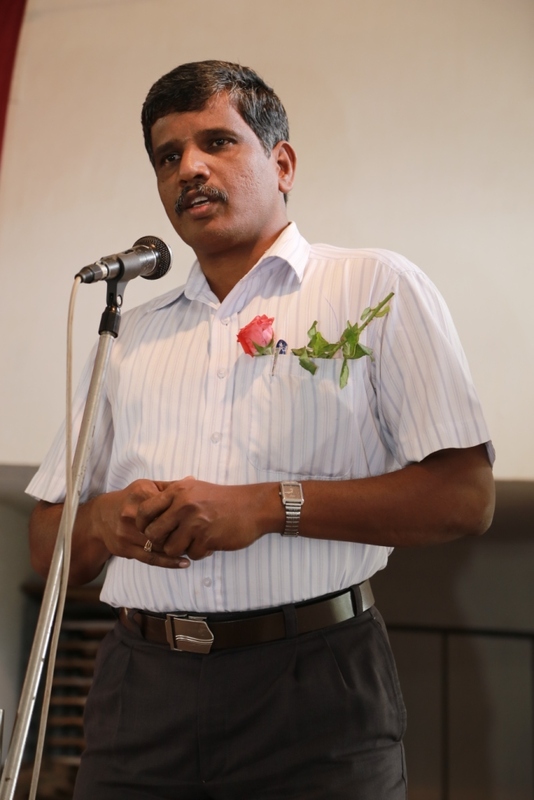 Teachers' day celebration was celebrated in S.N.M Polytechnic, The Heads of various departments namely Mr. Ganeshan. 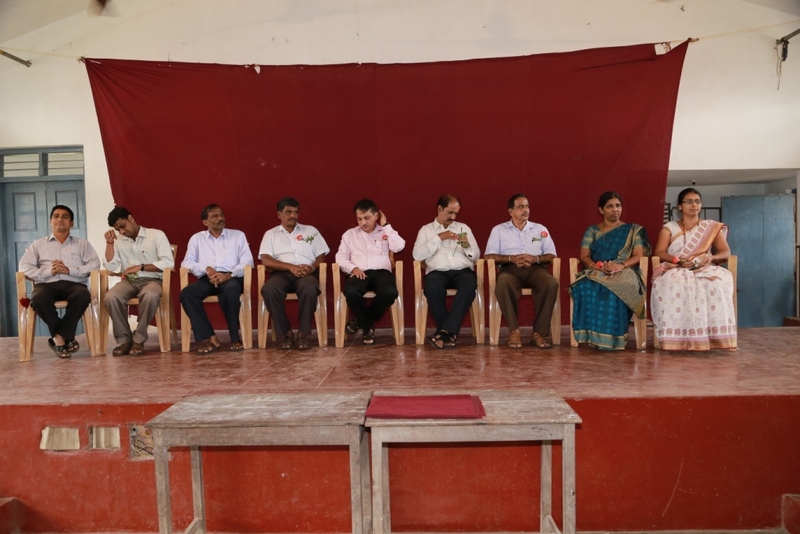 Mr. Venkatesh Prabhu, Mr.Davalakeerthi, Mr.Suresh Bhandaty, Mrs. Rajeshwari K.N., Mr. Ganesh Bhat, Mrs.Divya Shenoy and Mr. Krishnaraj accompnied the Principal J.J Pinto. 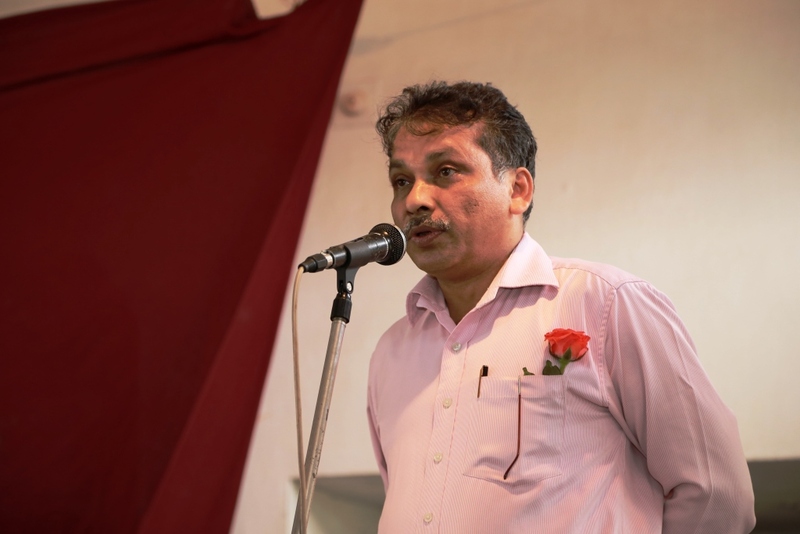 Mr. Arjun Joshi invoked Gods blessings for the celebration.President of students council Mr.Dhanush and office bearers greeted Principal, HODs and all staff members with roses..Principal Mr. J.J. Pinto in his address appreciated the efforts put on by the members of students council and entire student community in organising the celebration in such a systematic and befitting manner.He expressed his experience of joy and contentment in this noble profession of teaching. 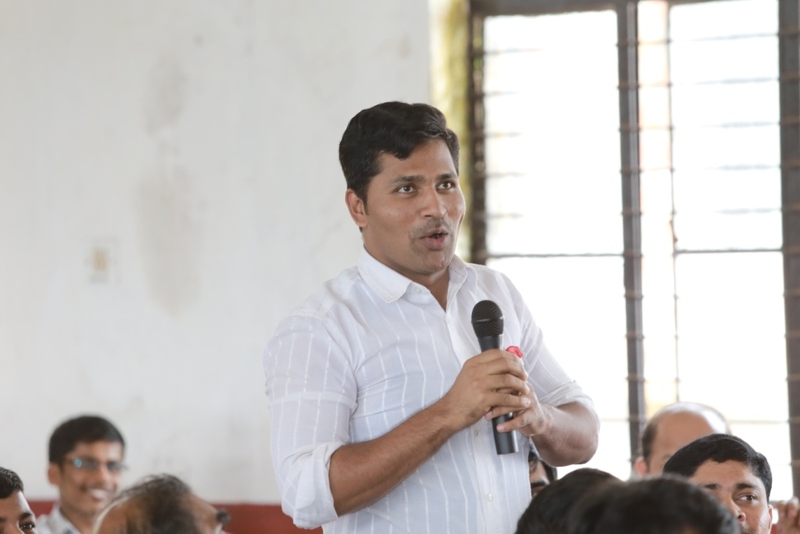 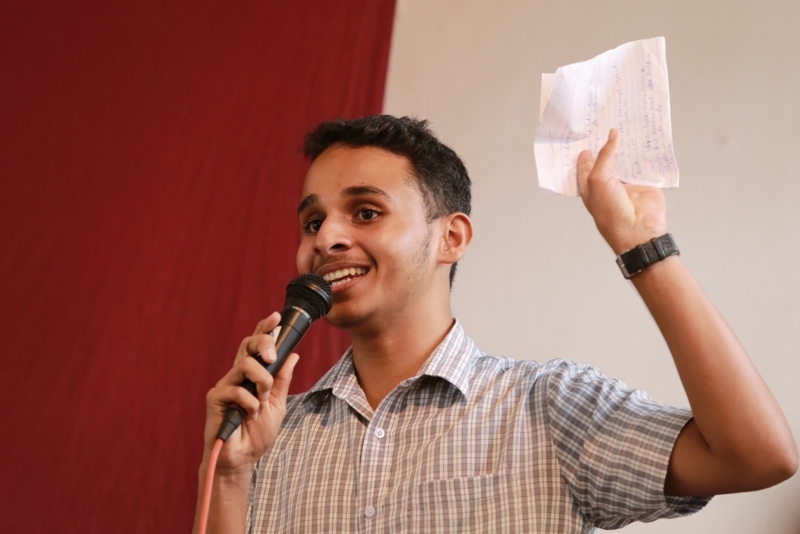 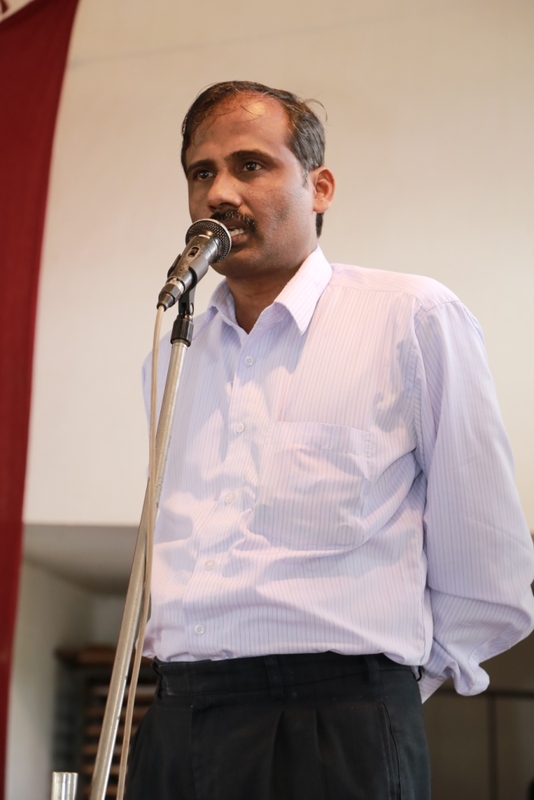 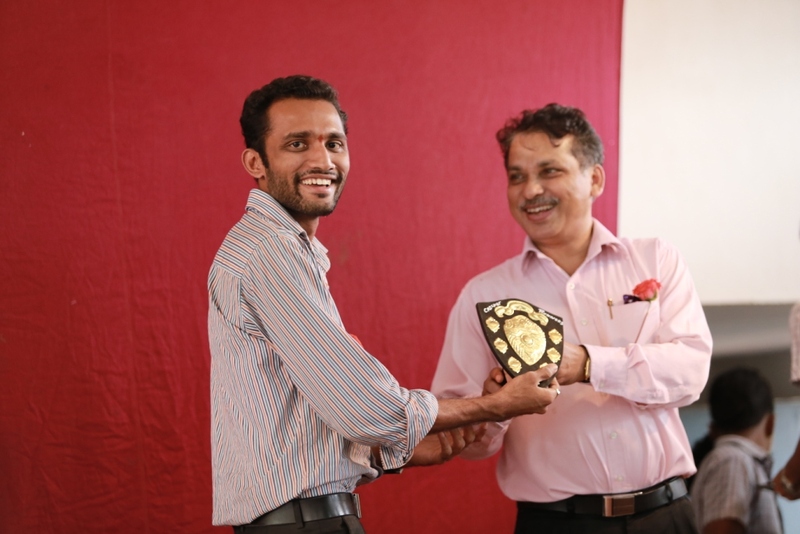 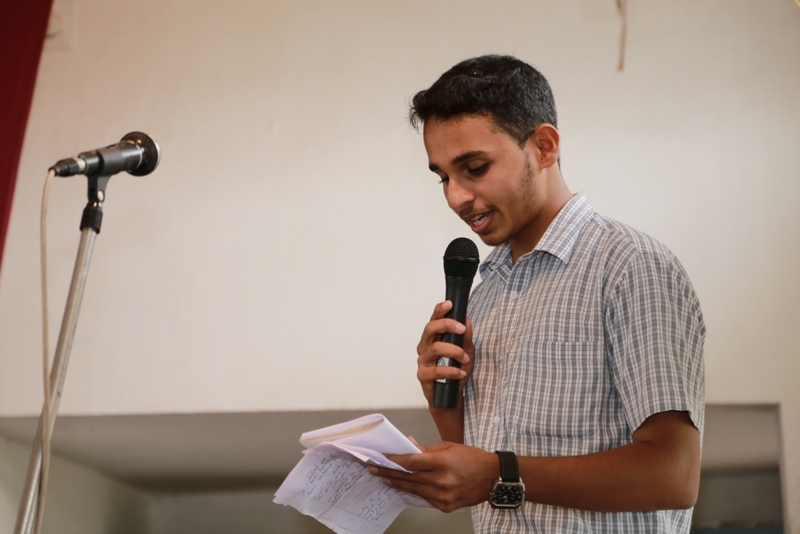 Mr.Jevince pais a student of Final year Mechatronics anchored the programme effectively . 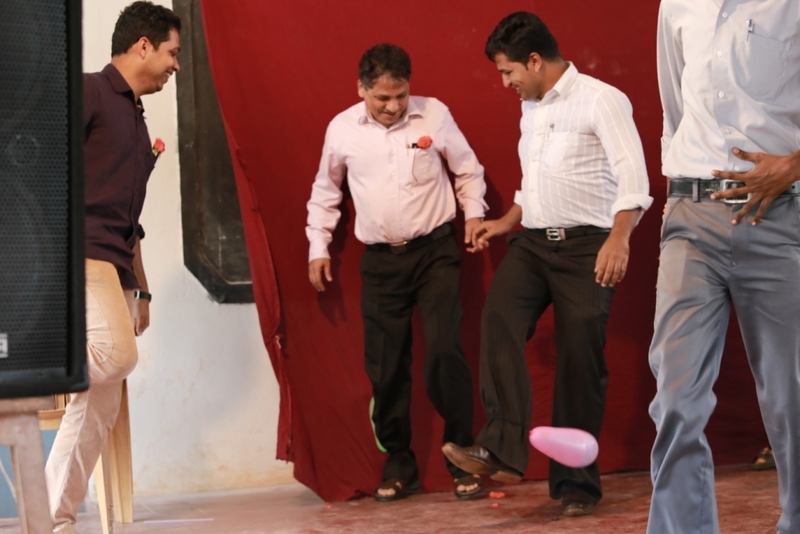 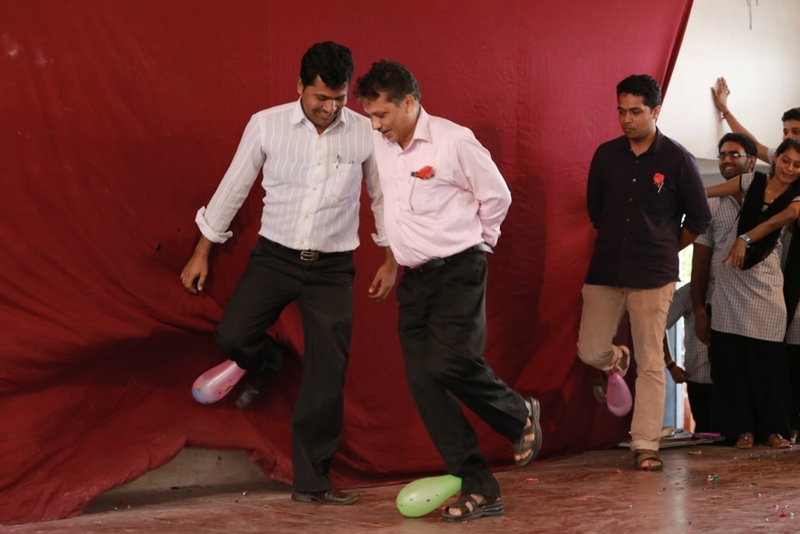 Many funny games were organised for the staff members. 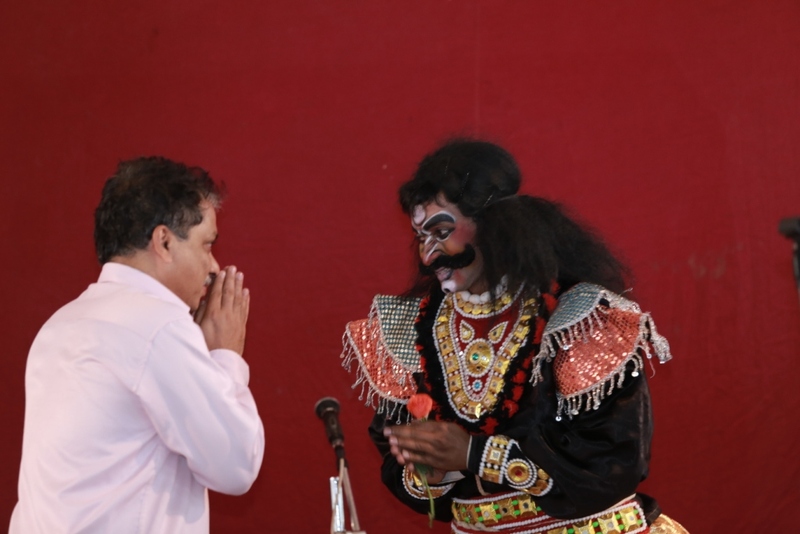 Main attraction of the celebration was the the Yakshagana performance rendered by the team of Mr. Gopalakrishna K.S., Lecturer in Civil Engg.Dept. 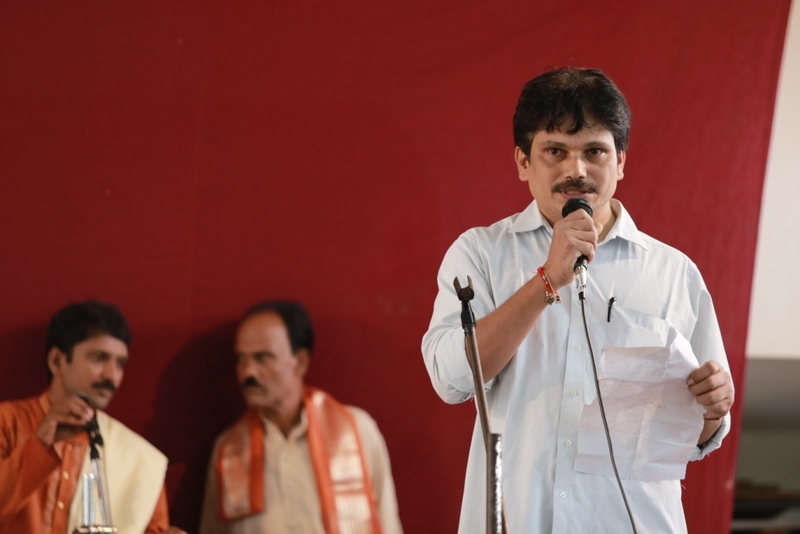 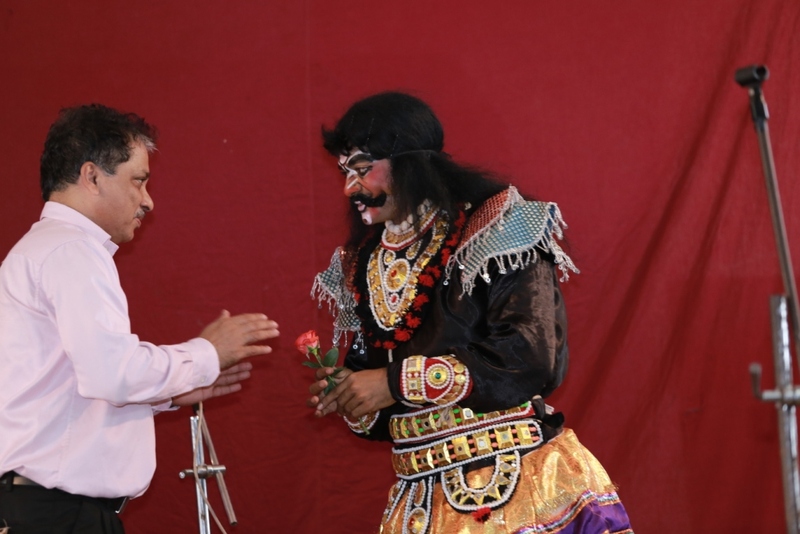 , Mr. Gopalakrishna an amateur artist of yakshagana has a field experience of this art since many years. 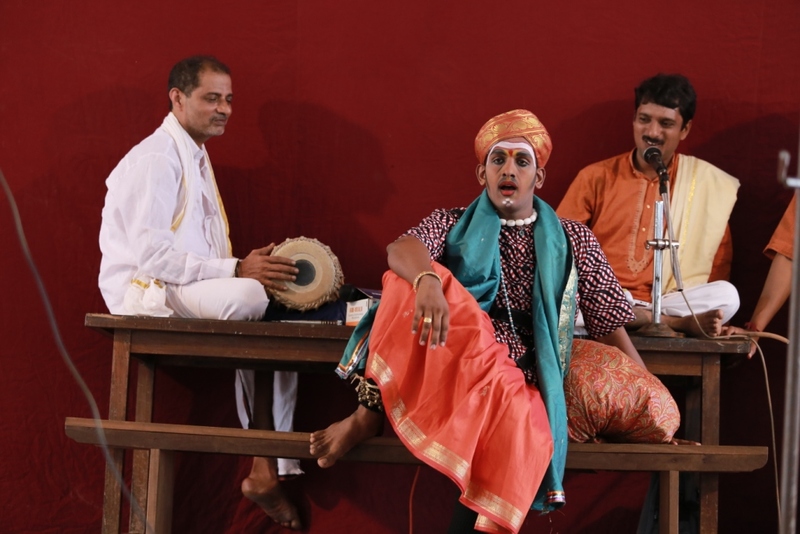 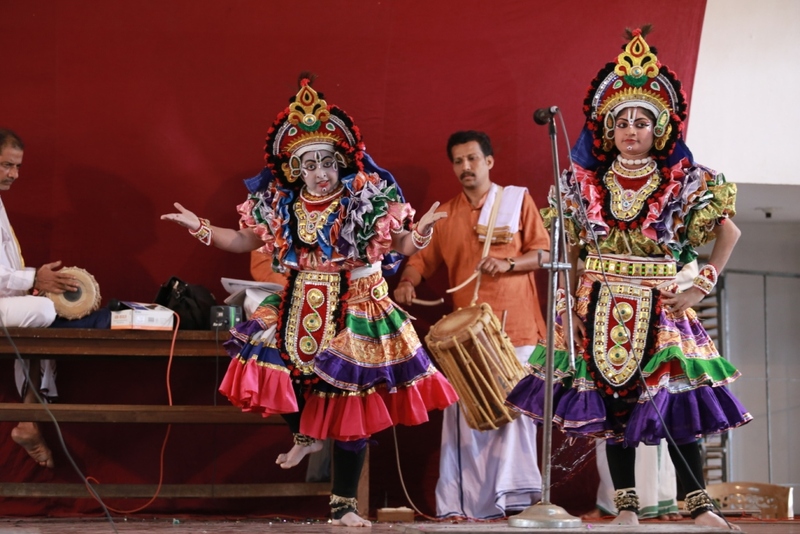 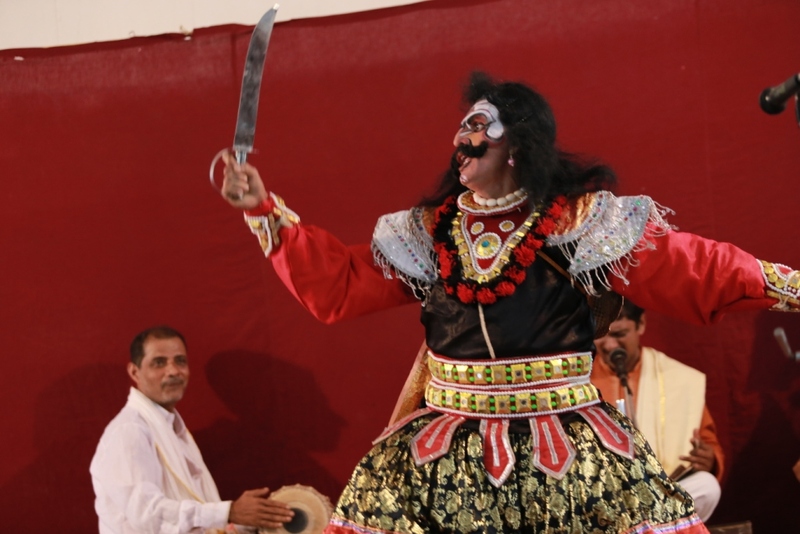 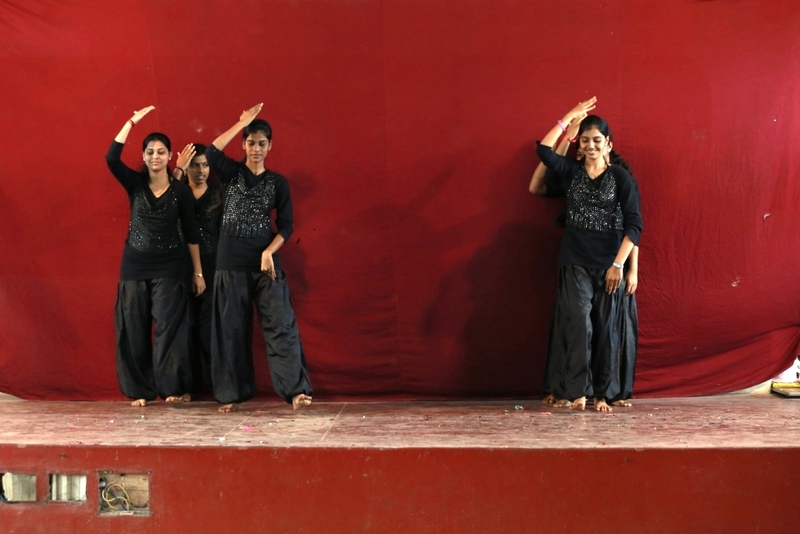 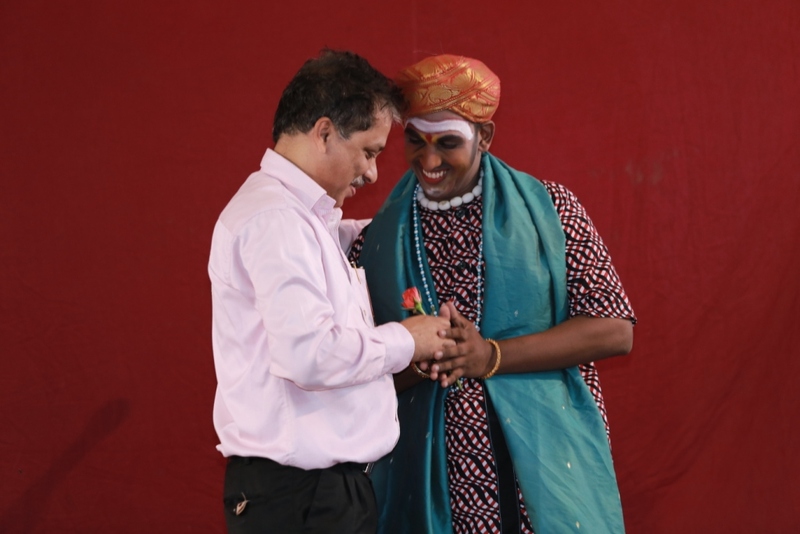 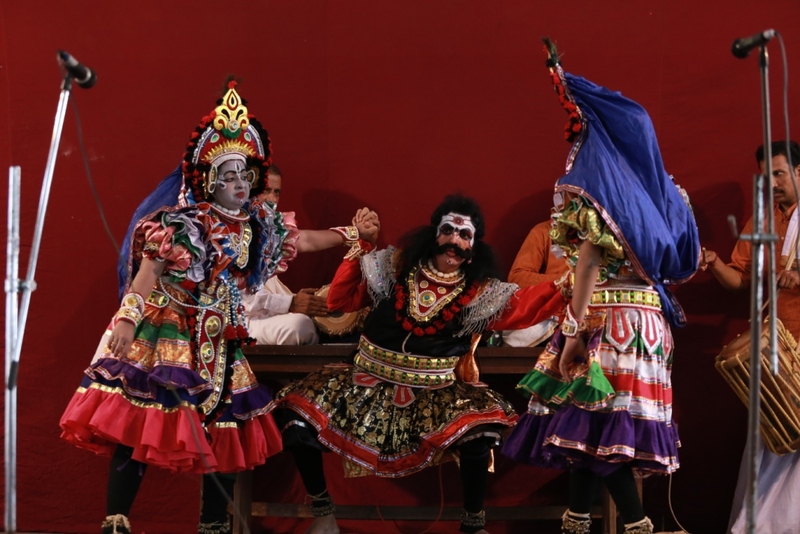 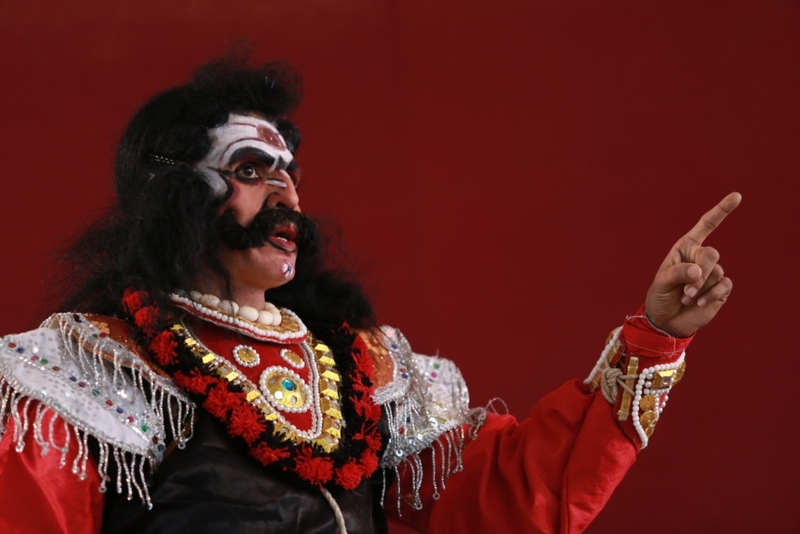 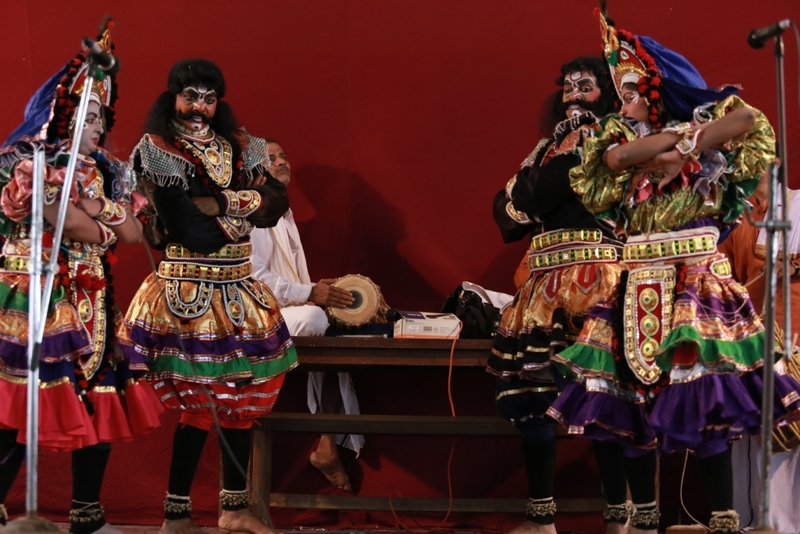 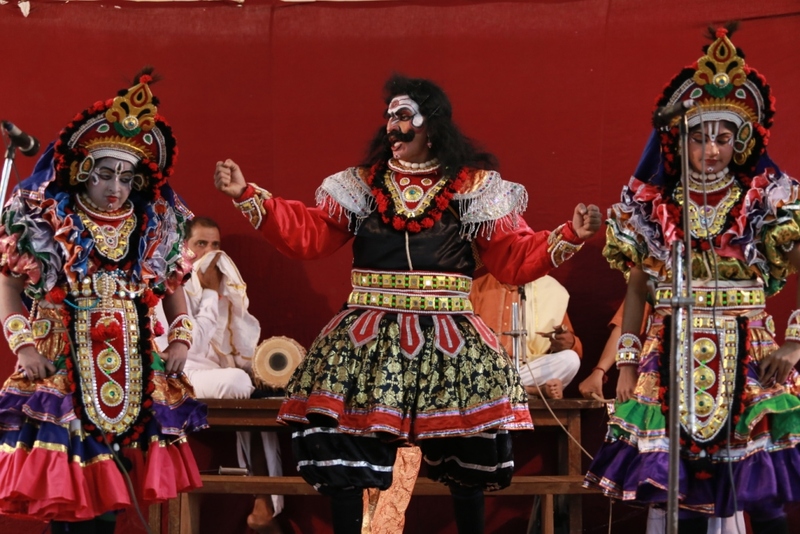 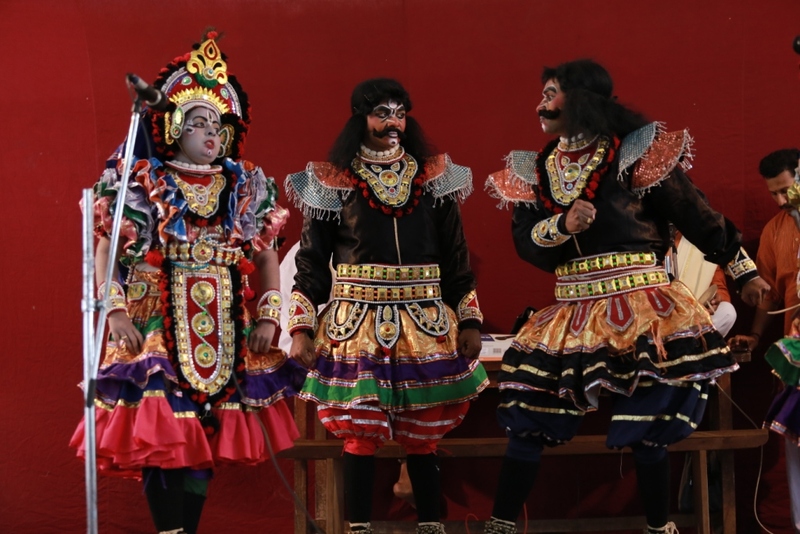 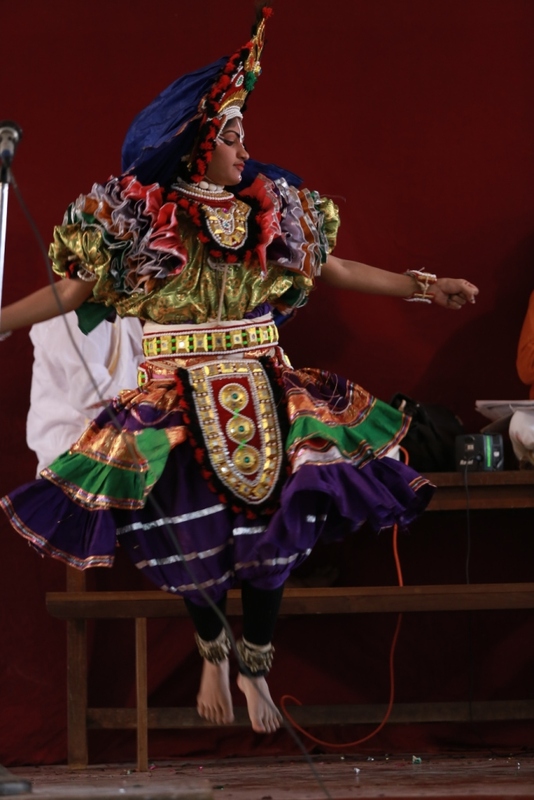 Forming a team of yakshagana hobbyist (artists) from the student community and staff and others from his amateur team experienced artists of his amateur team and staff rendered a mindblowing performance of yakshagana on a theme 'KAMSA VADHE'. 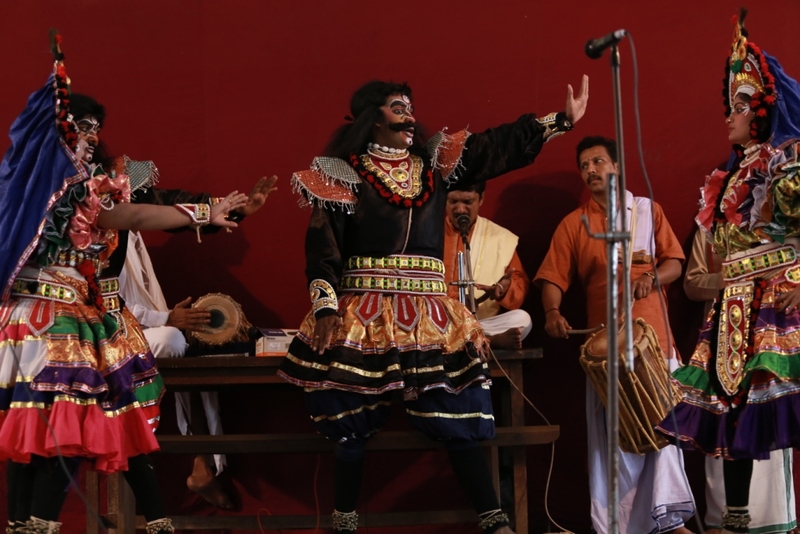 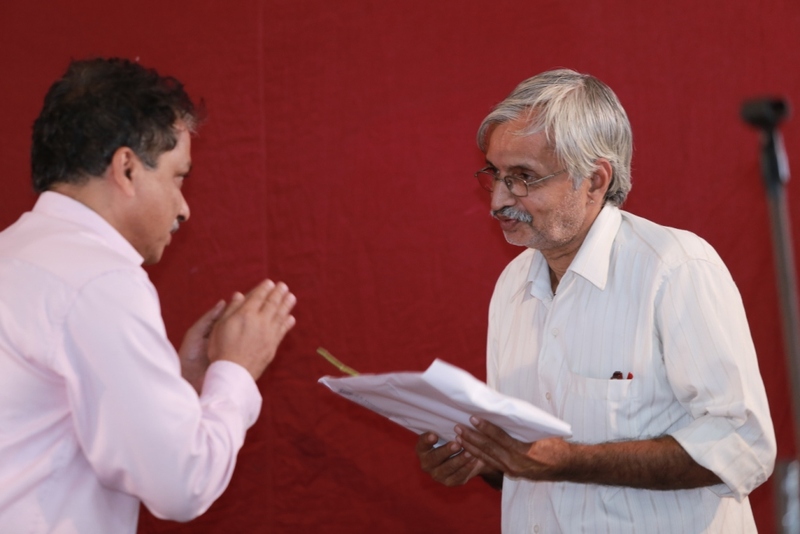 Mr. Pradeep 3rd Year DEC played role of CHANOORA. 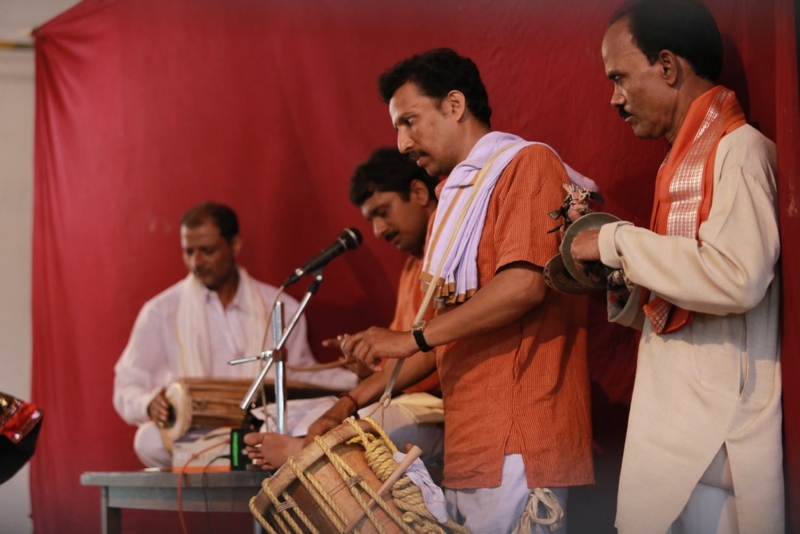 Well known artist Mr. Yogish Acharya and his team rendered an excellent performance on background singing- Bhagavathike, chende, maddale and chakra taala.